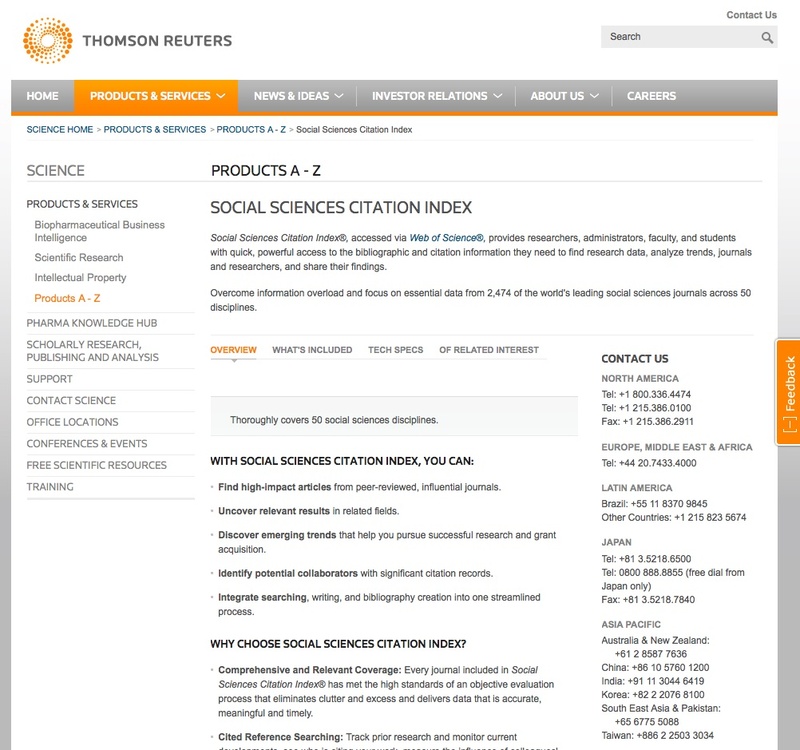 Social Sciences Citation Index (SSCI) and Social SciSearch are indexes and abstracts services of the Thomson Scientific, part of Thomson Corp., including many ISI Web of Science products. These services aim at providing access to current research information and are the online version of several Citation Indexes. Social Sciences multidisciplinary databases index around 2,400 journals covering over 50 disciplines. Articles from about 90 political science and 100 sociology journals are abstracted. Subfields like international relations, urban studies, psychology, law, public administration are also covered. These databases provide cited references, bibliographic info and authors abstracts. Nonetheless access to these services requires a fee-based subscription. Non-subscribers are not allowed to access any content. Although the database services are user-friendly, and many online tutorials are offerd in order to better use the products, this website is not the best example for usability and accessibility.